Who are your company’s record-breakers? And who is competitive enough to take them on? This game fires up employees’ sense of competitiveness through a variety of challenges — either physical or puzzles/logics, or both—displayed in the app in which they can participate to set records for your company. The winners’ performance will be displayed in the app, and they’ll benefit from the recognition that winners deserve. No matter what, you can count on lots of energy and good vibes in this game! 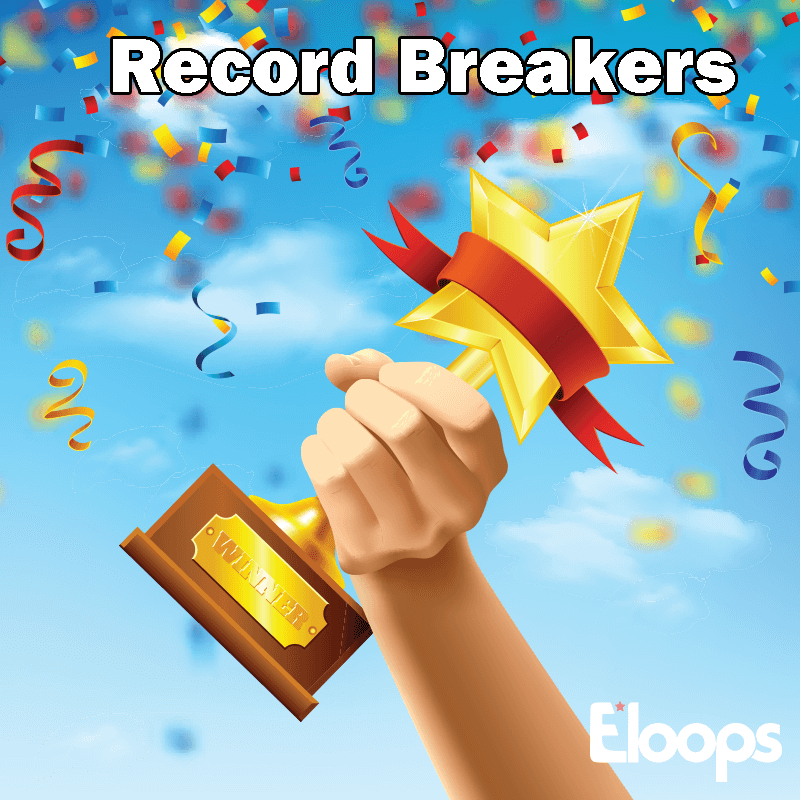 We post employee records for certain challenges (physical or puzzles) on the Eloops app so their peers can beat them. To do so, they’ll have to exhibit excellence, commitment, creativity, focus and more. When they complete challenges or beat existing records, employees must snap a picture and post it in the main feed of the company’s Eloops app, where their colleagues can cheer them on — or take them on. At the end of the game, we’ll share the winner lineup; plus, you’ll get trophies to give them…in the real world!